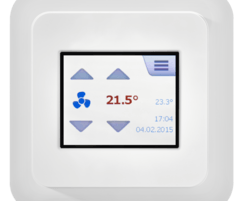 Increasingly demanding requirements on energy efficiency as well as the latest EU regulations have created a need for intelligent control engineering solutions in room air conditioning. 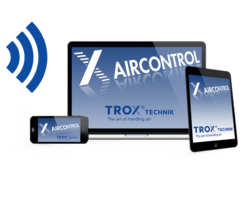 TROX has combined its know-how from all divisions of air distribution technology and developed an energy-efficient overall system: X-AIRCONTROL. 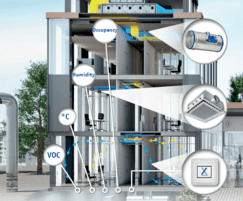 The integration of the X-CUBE air handling unit, volume flow controllers, heating and cooling components, and air-water systems into an overall system offers huge economic and ecological benefits. The system's main focus is on the individual, demand-based control of air volume flow rate and water circulation for a room. 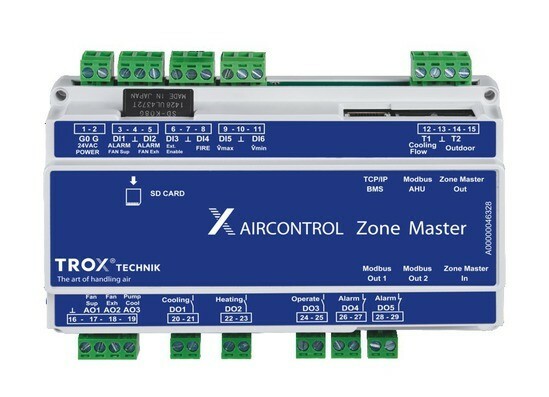 Measuring and evaluating the temperature, air quality, humidity level and occupancy not only improve air quality and comfort in a zone, but also drive costs down. 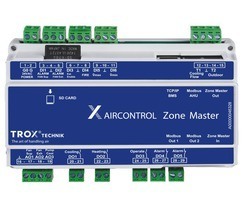 The modular structure of X-AIRCONTROL is a crucial advantage. 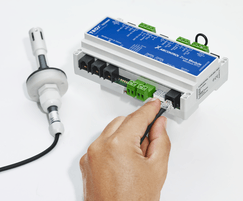 The system can be used to control single rooms, but also be expanded to link and individually control up to 125 zones.